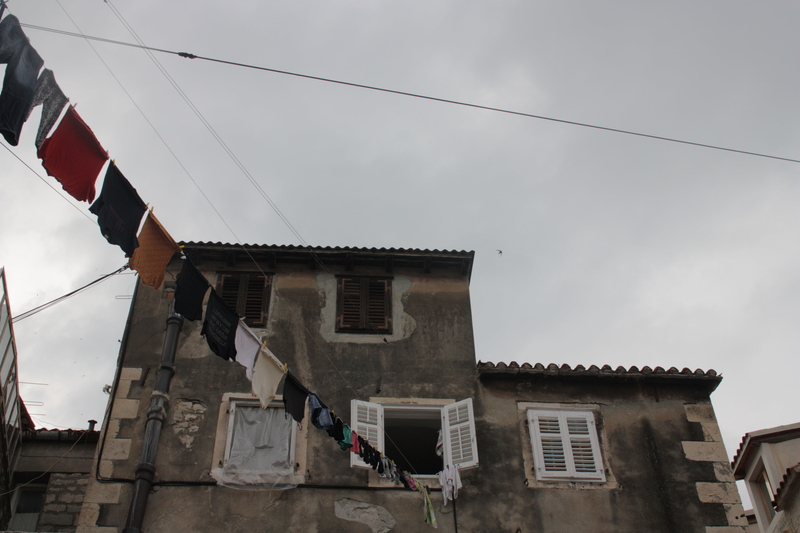 Split is a very cinematic city with its cultural history, landscape, people and nature. Inspired by Boris Poljak, a great cinematographer, filmmaker and our ‘guide’ for a day, this photo diary represents my cinematic gaze over this little pearl of the Mediterranean beauty. Although multiplexes took over this part of the world too, the regional cine-clubs (kino klubs) still serve as the most important features of the cinematic Split. These kino klubs were ‘the central force in the development of the film art in the former Yugoslavia, amateur educational/production facilities supported by state funds. Among them, the ones in Belgrade (1951), Split (1952) and Zagreb (1953) should be singled out for their pioneering aesthetic experiments, poetic inspiration and provocative stance’ (Vidan, 2016: 56). As cinephiles from different parts of the Balkans and the Middle East, we gathered around the Kinoteko Zlatna Vrata, the Kino Klub in Split and the Balkan Cultural Centre in Split during my stay there. 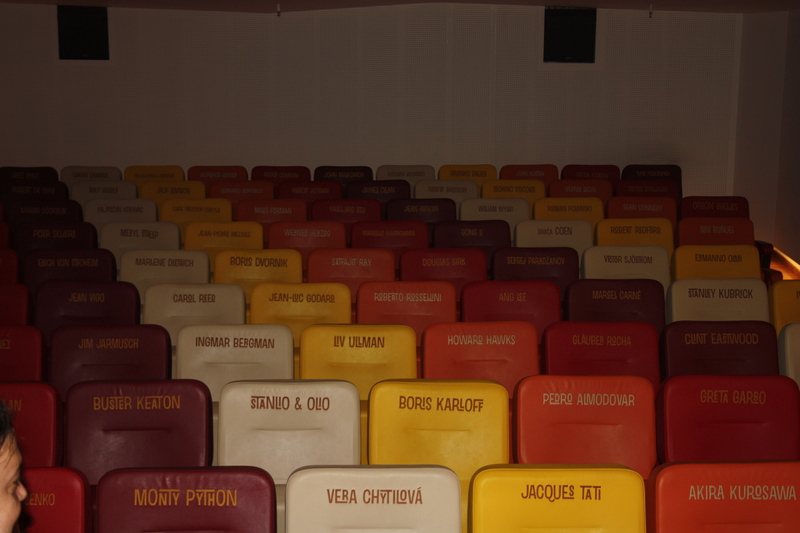 The most important aspect of these kino klubs was that they led to a strong exchange of ideas and materials among their members, which led to the development and consolidation of film culture in these Balkan countries. The fact that we gathered around these spaces and cultural centres in Split facilitated ‘a cinematic gaze’ on the city on my part, which is going to inform my personal diary of Split as a potential film set. 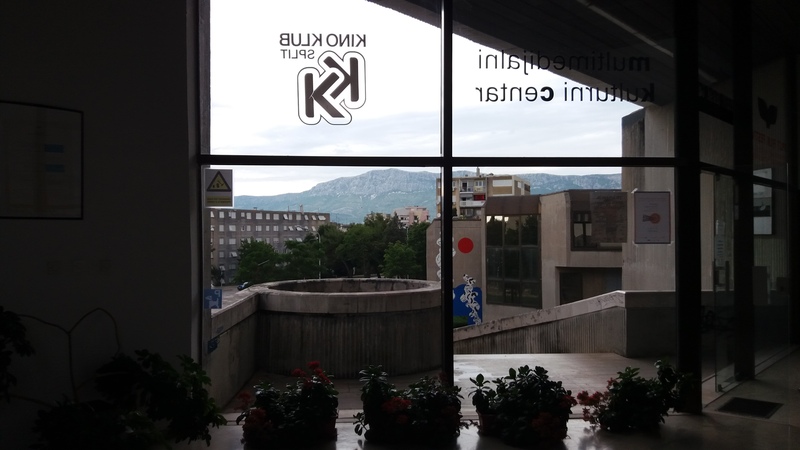 What is striking about the Kino Klub in Split is its dark and gloomy atmosphere especially when it is raining. 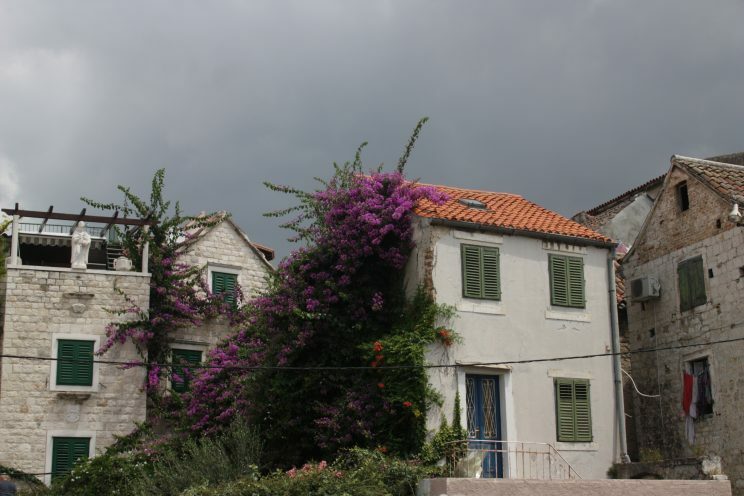 It is situated in one of the former-Yugoslavian buildings and its surrounding neighbourhood is actually residential. Its vibrancy is constituted of not only the interiors of the klub, which is full of books, posters and old school projectors, but also the exteriors of the building, which is defined by Croatian street art. As for me, street art represents one of the best forms of contemporary art, it in a way compliments the feeling you get inside the Kino Klub Split. While the kino klubs fed the former cinema culture in the Balkans, today the indispensable aspect of film culture, in especially urban contexts, is film festivals, which facilitate the circulation and exhibition of alternative films around the globe. 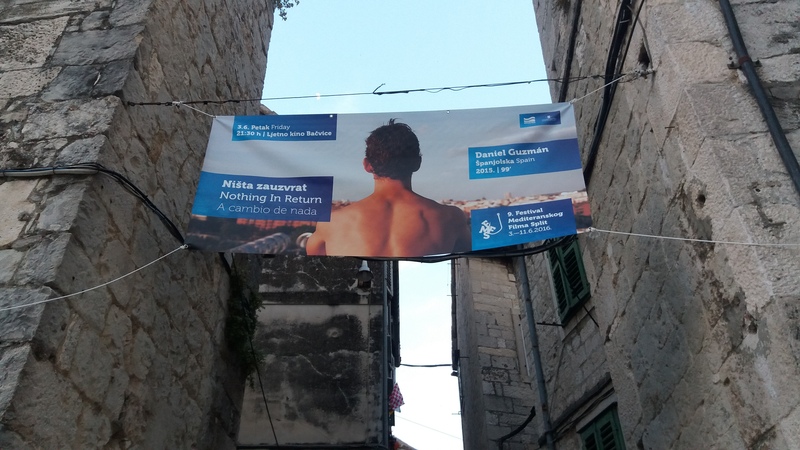 The great thing about the Festival Mediteranskog Filma Split was that it used the city efficiently, such as hanging their posters on the big gates of the old city or organising the screenings and events in the most beautiful parts of Split, such as the open-air cinema Bačvice. 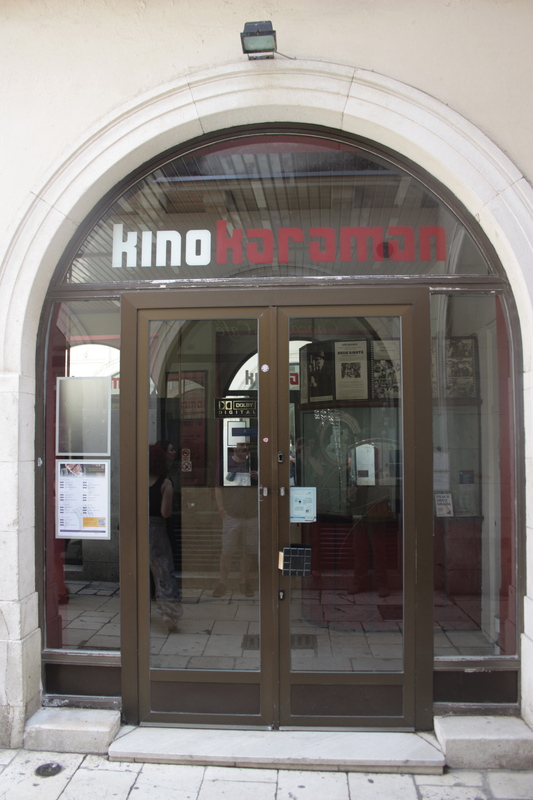 There are also various small or medium-sized independent movie theatres at the heart of Split, nurturing its film culture, such as the Kino Karaman. Or Kinoteka Zlatna Vrata, the historical cinematheque of Split, which was one of the most exciting movie theatres I have seen so far. Split is a cinematic city not only because of its film venues and events, but also due to the main locations of the city, which are visually stunning. 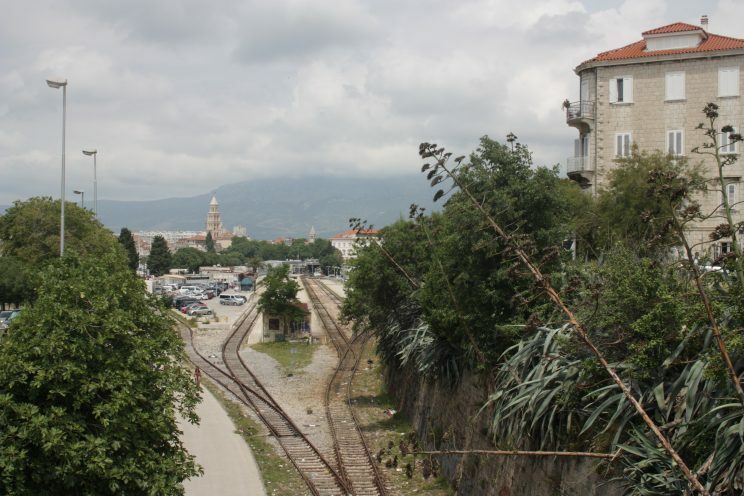 The forking path of the railway, a landscape that is fully touched by modernity, signifies the people’s arrival to or their departure from this city. 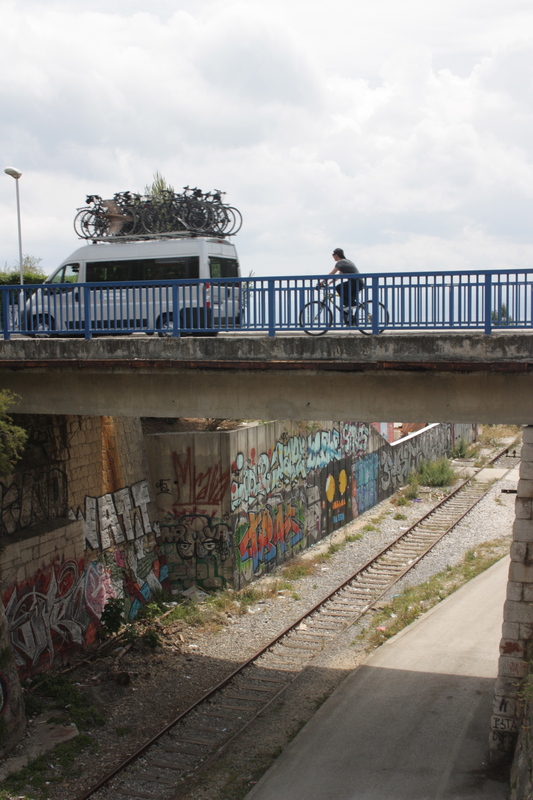 Apart from trains and busses, cycling constitutes an important feature of culture in this Mediterranean coastal city, which is surrounded by mountains but is also a flat city, especially considering its centre. As I mentioned before, street art is also a vital feature of urban culture in Split, especially around the Bačvice Beach, which has served as an important set/destination for filmmakers throughout the history of Croatian cinema. 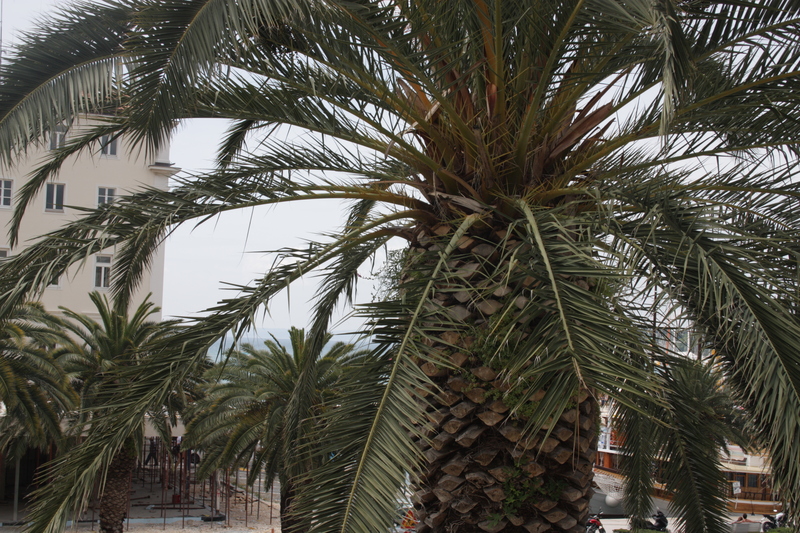 The palm trees, which welcome people as soon as they get off a train or a bus around the Bačvice beach, are typical imagery to represent the Mediterranean and Dalmatian scenery. 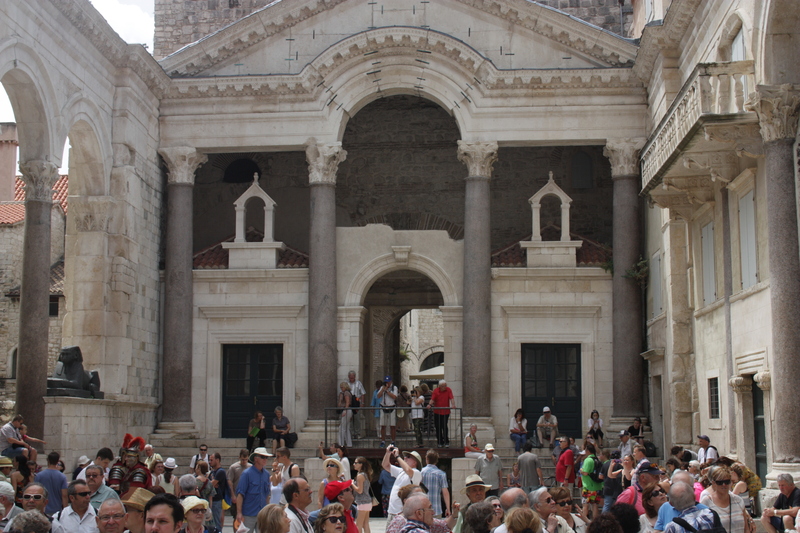 The hidden building behind the trees displays the fact that Split not only has a Roman, Byzantium, Venetian, Austro-Hungarian and Socialist past, but that it also embraces a recent touristic culture and is full of modern buildings right around the old city. 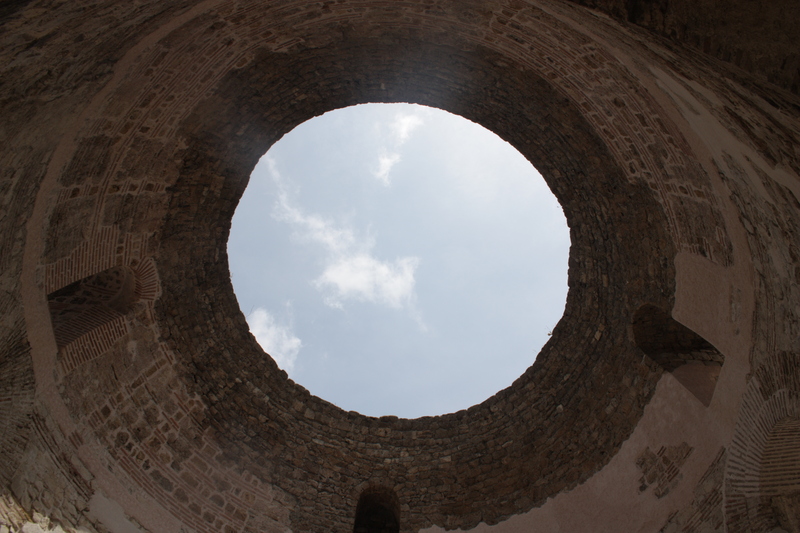 In addition to trees and the green parts of the city, the blue sky of Split, especially gazed from underneath the monuments, is very cinematic of Split. Quite reminiscent of some scenes from Game of Thrones episodes, this particular space made me feel as if a dragon or some bats would come down from it. It is a magnificent stop to look up and feel isolated from people around you taking photos and rushing to explore this historic city. The city of Split is also full of little and medium sized squares, which were created as open public spaces by previous empires. While these squares implied civic participation in politics in the past, today they have become powerful physical symbols of tourism or the recent urban renaissance through events such as concerts. The Diocletian’s Palace, which was built by the Roman emperor Diocletian at the turn of the fourth century AD, is one of the most remarkable and touristic of all the squares in Split. 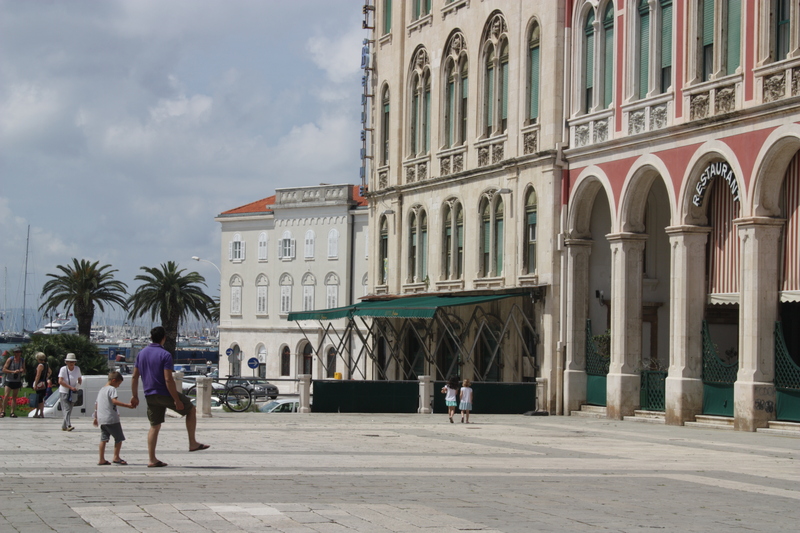 Although the moment I was walking past the square did not represent a special day or event, its overly populated nature reminded me of the crowded concert scene in the film A Wonderful Night in Split (2004). Any film that would represent Split cannot be fully representative if it does not take the tourist culture in consideration. Whenever I visit a new city, I always try to locate the street markets, which are the places whereby local people and visitors exchange money, goods and most importantly culture. 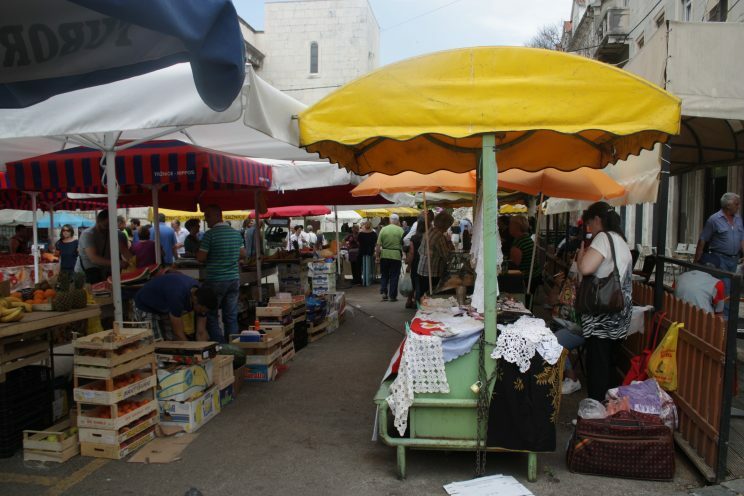 Split’s street market was a colourful stop, which mostly smelled strawberries and cherries. especially people’s laundry overlooking the visitors everywhere. While the curtains of some buildings are purple, their windows are green. 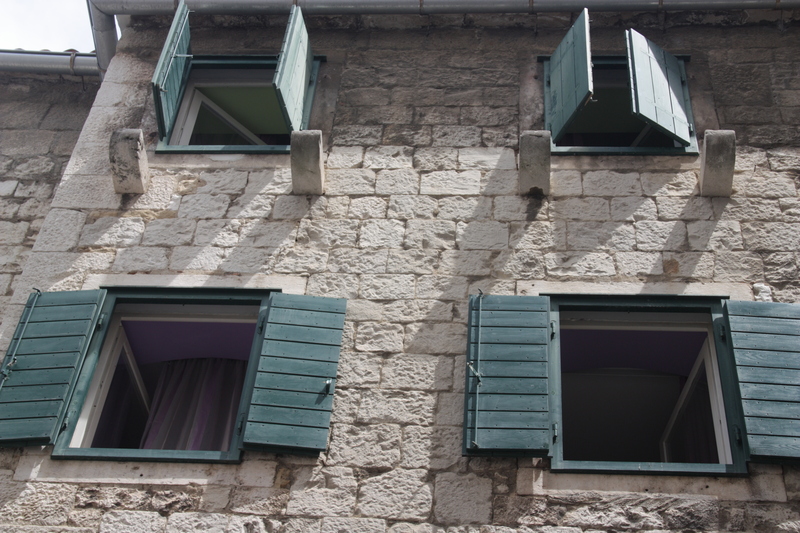 Thus, the colours in the city, including that of the flowers around the buildings, the laundry and the windows were by far the most cinematic components of Split. Other than houses, some of the cafes and hotels have green windows. 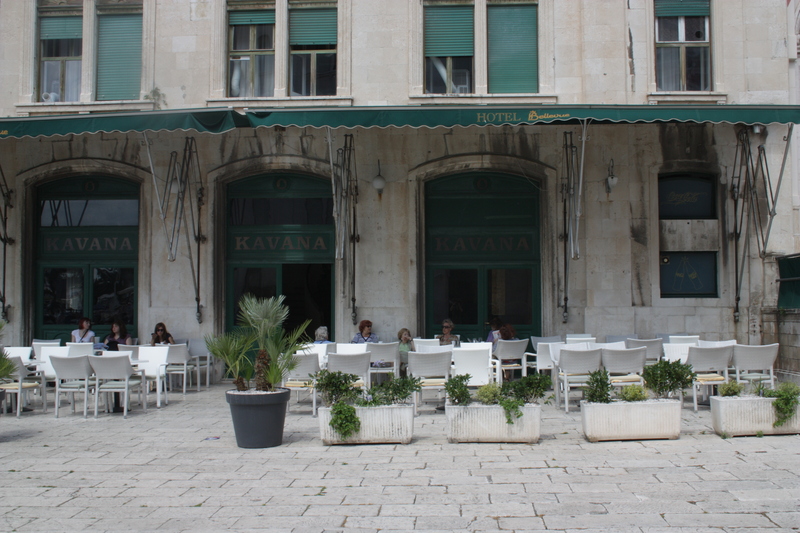 Kavana Bellevue Split was one of them, which, as Boris Poljak told us, has been a meeting point for local artists and filmmakers. 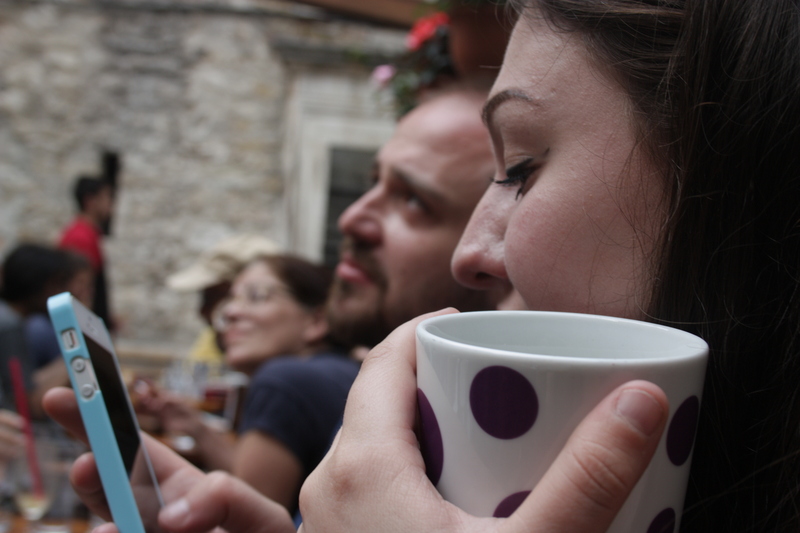 The wanderers of Split sit and relax in these kinds of cafes and have their afternoon tea, wait for the rain to be over before they explore what Split has to offer more, while they engage with their loved ones over the apps on their phones. 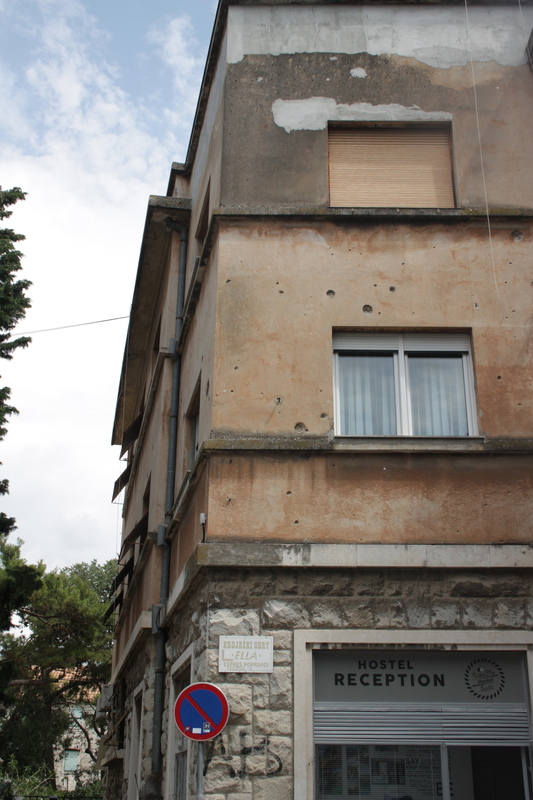 Nevertheless, the signs of wars in the 1990s Croatia were still there, that in a way represent the traumatic aspect of the history of the Balkans. The 1990s were traumatic not only for the social fabric and political agenda in Croatia, but it also had reflections in cinema. ‘The 1990s will be remembered with the films about the Balkan conflicts and traumas within European cinema at large’ (Iordanova 2000: 15). The 2000s, on the other hand, represent the healing of war traumas through the power of communities, cosmopolitan culture and social life. Other than the past traumas, any given film should also account for the tardiness and slowness of everyday life in Split. People constantly wait around and stare at the buildings or the sea, which is also very typical for other Mediterranean cultures. 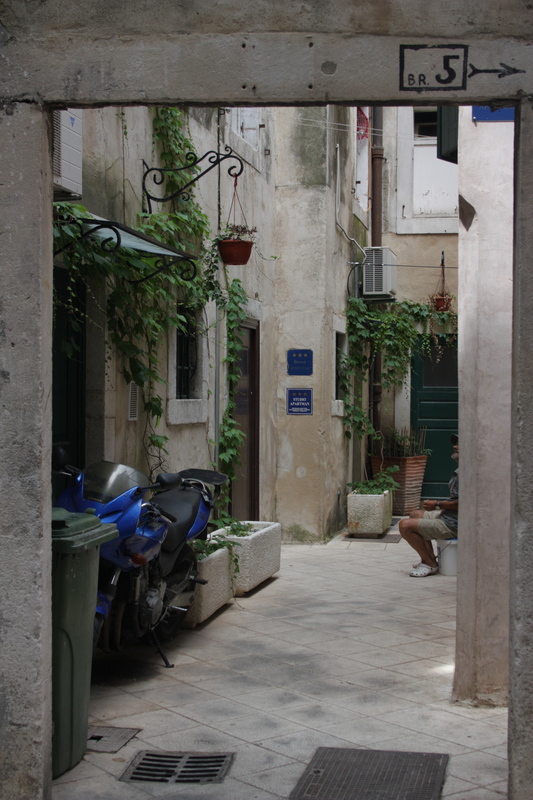 This photo reflects not only the slow life style of the Split people but also the combination of the colours of green, blue and grey/white in the city. 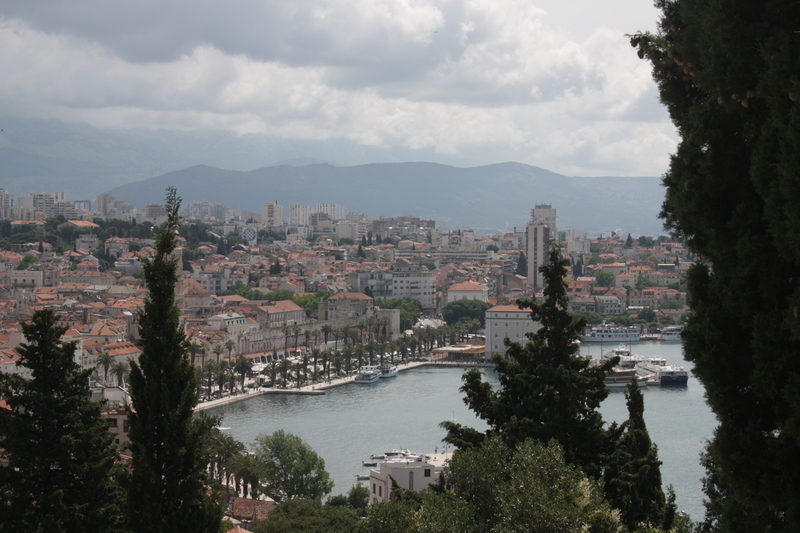 As a way of saying goodbye, I would like to end my photo diary on or the cinematic gaze over Split with a photo of the city from a distance, from Marjan Hill, which is a place where you can run away from the crowds and heal your soul. It is also a place where you can observe the cruise ships entering or leaving the harbour, which has long been an indispensable characteristic of urban culture in Split. Iordanova, D. (2000). ‘Introduction’ in A.J. Horton (ed. ), The Celloloid Tinderbox: Yugoslav Screen Reflection of the Turbulent Decade, Telford: Central Europe Review, pp. 5-15. Vidan, A. (2016). Irresistible irreverence: Dušan Makavejev’s amateur films and the Yugoslav cine-club scene. Studies in Eastern European Cinema, 7 (1), pp. 53-67.